I always think of small-town America when I see tree swings. 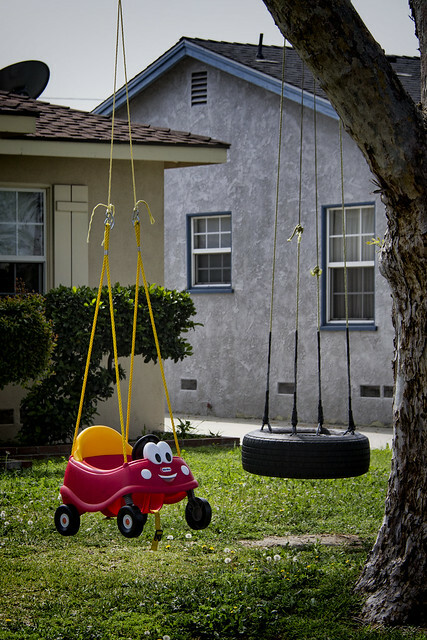 However, these swings bring a new twist to the homemade swing. It's hard to say which one looks like more fun. "No matter how old you are, swings are cool."